The Foundation Pathway will be an accessible training course based on OTC's nonverbal physical theatre practice. Our Foundation Programme will be a year-long professional and artistic development programme for young artists, focussed on non-verbal physical theatre. Participants will learn techniques ranging from clowning, mime, dance, physical theatre and other artistic disciplines. The programme will be for young emerging artists with learning disabilities and others. 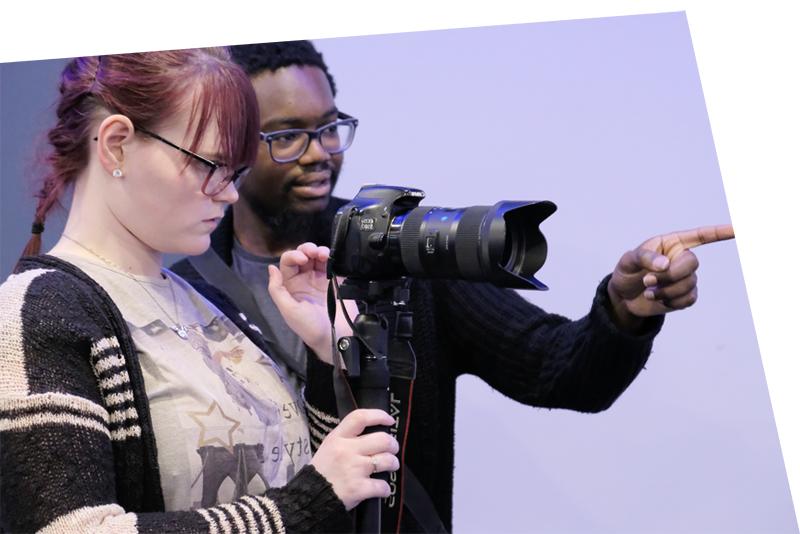 Our ambition is that by the end of the programme, students will have all the creative and professional skills to embark on diverse careers in the arts. The programme is a fully integrated part of our Talent Lab, meaning students will be participating, leading and creating their own projects alongside other project participants. If you would like more information about the Foundation Programme, sign-up to our mailing list or send us an email. If you don’t want to wait for the Foundation Programme, we currently run creative and professional development workshops through One of A Kind and BecauseWeCanCanCan.